Parents, we can do this. We can be loyal advocates, stubborn intercessors. We can take our parenting fears to Christ. In fact, if we don’t, we’ll take our fears out on our kids. Fear turns some parents into paranoid prison guards who monitor every minute, check the background of every friend. They stifle growth and communicate distrust. A family with no breathing room suffocates a child. On the other hand, fear can also create permissive parents. For fear that their child will feel too confined or fenced in, they lower all boundaries. High on hugs and low on discipline. They don’t realize that appropriate discipline is an expression of love. Permissive parents. Paranoid parents. How can we avoid the extremes? We pray. Prayer is the saucer into which parental fears are poured to cool. Jesus says so little about parenting, makes no comments about spanking, breast-feeding, sibling rivalry, or schooling. Yet his actions speak volumes about prayer. Each time a parent prays, Christ responds. His big message to moms and dads? Bring your children to me. Raise them in a greenhouse of prayer. Lord Jesus, when you were here on earth, you showed tender love for children. You protected them and defended them. May we be as dedicated and devoted to our own children. When we begin to worry and be anxious for them, teach us to talk to you about our fears. Lord, you love our children even more than we do. You want what is best for them even more than we do. We can trust you to take care of our children and to guide us as we seek to be godly parents, amen. 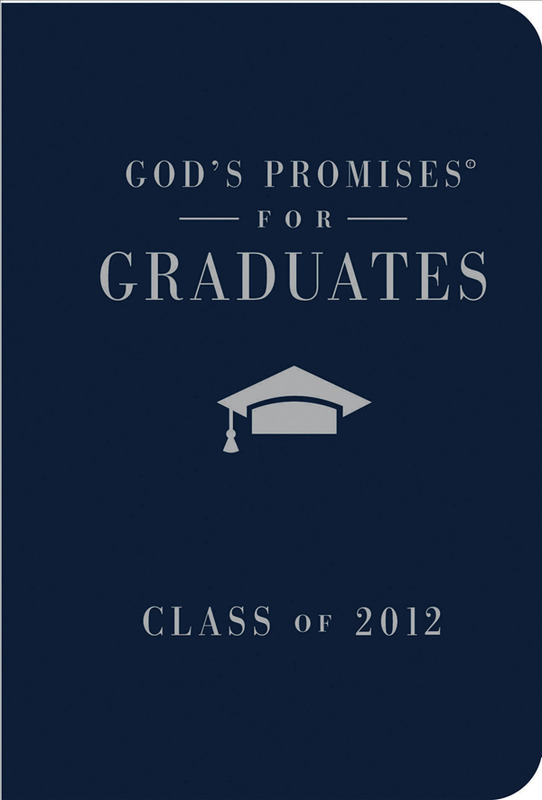 God's Promises for Graduates is a beautiful keepsake gift and resource for your graduate as they head off to face new challenges and opportunities. Using Scripture, topics such as character, integrity, loyalty, focus, respect, and perseverance are addressed along with a special section to journal memories, silky ribbon marker, 2012 charm, and silver-gilded edges.